“Sing along, sing along…to the easiest hook on the record” begins Minneapolis psych poppers New Century Masters new LP, a conceit that seems to imply that rest of Vol. III: Rarities and Oddities will be a challenging listen. That expectation would be a misguided one though, since throughout the rest of the band’s material the pop hooks are strong and plentiful, even on the album’s B-Side which the band calls “Uglier” in contrast to the A-side’s “Lovelier.” New Century Masters dresses up their 60’s-inspired psychedelic pop with a lot of bells and whistles (background noise, distortion, bizarre lyrics) but it still doesn’t mask the fact that each of Rarities’ eight tracks is, at its core, a pop-rock tune. And while the added accoutrements broaden the band’s appeal (or narrows it, depending on your attitude towards music), it’s really the infectious pop hooks that carry Rarities’ sound. And one of the strongest hooks I have heard locally this year comes in “Gentry Pines” cluttered, stutter step rhythms and vintage organ sound. The quick moving song seems to move through several permutations throughout its three and a half minute course, each of them marked by a strong attention to melody while the lead vocalist evokes Kevin Barnes’ sprightly baritone. Sgt. Pepper-esque “Afternoons and Sundays” as well as the swinging vocal choruses of “Oh! Miss King,” also present highlights, though perhaps the most interesting listen is minute long album closer “Nothing All the Time Part I,” which creates the feeling of riding a circus merry-go-round while on an acid trip. “Nothing” seems to represent the bizarre, challenging listen that the group was clearly aiming for, and more of the record might have benefitted from a similar willingness to be weird. Where Rarities suffers a bit is in its cluttered, hastily-put-together production style, which at its most egregious, simply cuts off the end of “See Carl Sagan Say” without a proper fade. 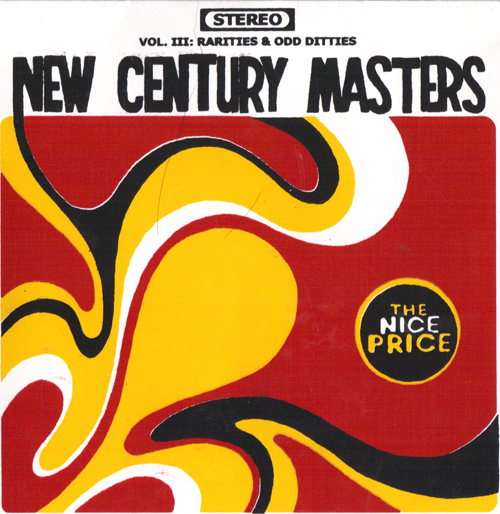 The record also might have benefitted from a tad more reverb as well, since it is definitely in fashion these days as well as in keeping with the 60’s psychedelic bands New Century Masters is emulating. Overall though the material on Rarities is strong, and shines through even where the production lacks. While we have a very strong psychedelic scene in the Cities right now, I think that New Century Master’s melody-infused sound will make a nice contrast to their denser, more fuzz-oriented peers. This is a cool track! I saw these guys at the memory lanes block party and at the world cup finals block party and they caught my ear/eye. They’re good live, and the songs are fun. Looking forward to getting the album next friday if I’m in town, especially after this review!